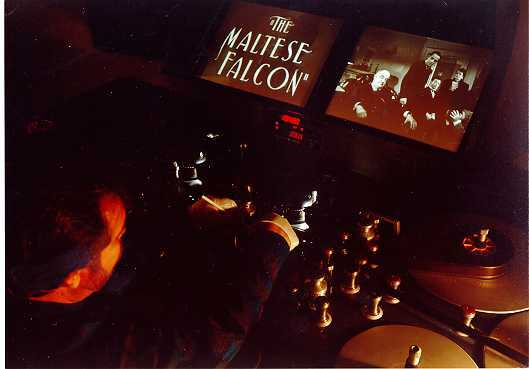 Library of Congress Restoration of "The Maltese Falcon"
Same as above but using a piece of masking tape ! 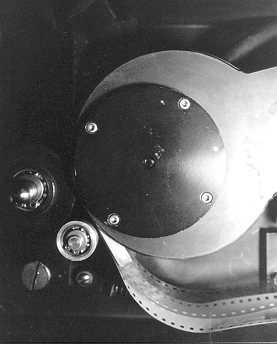 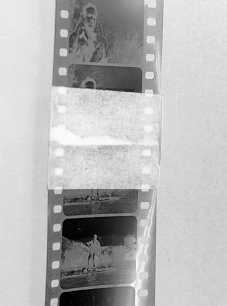 Example of film received with some type of crystals formed on the film base. 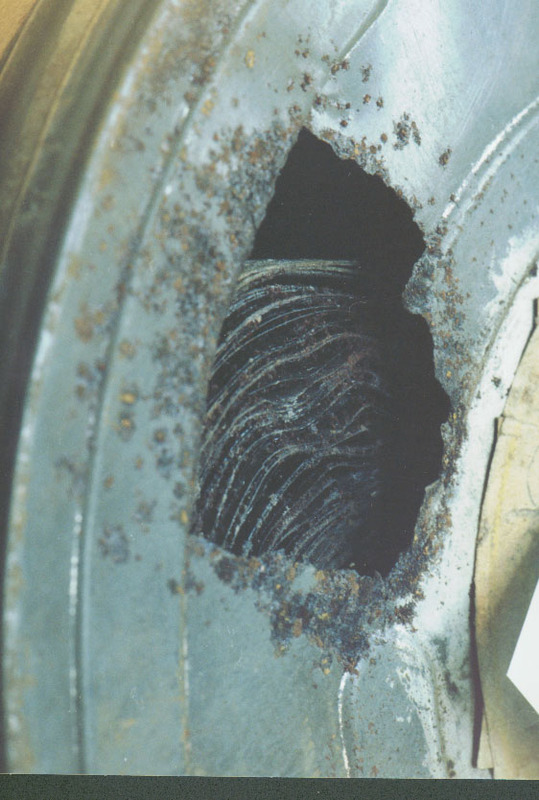 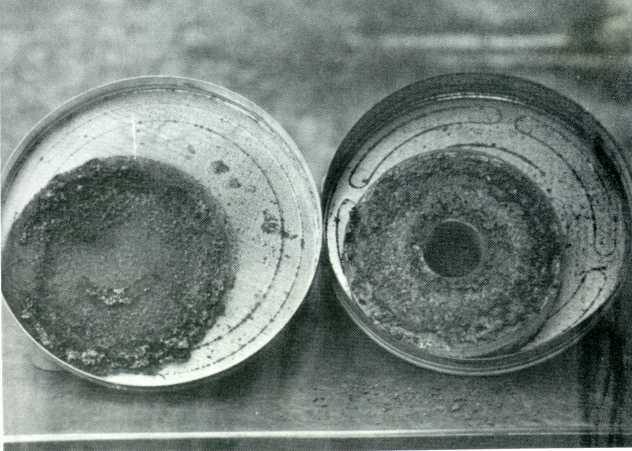 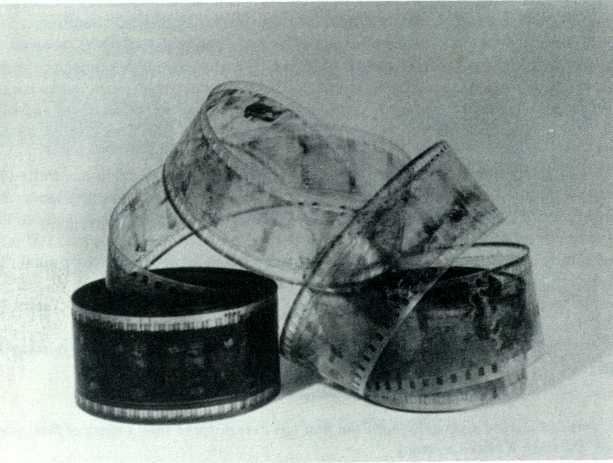 Example of film that has caused the film can to be eaten away. 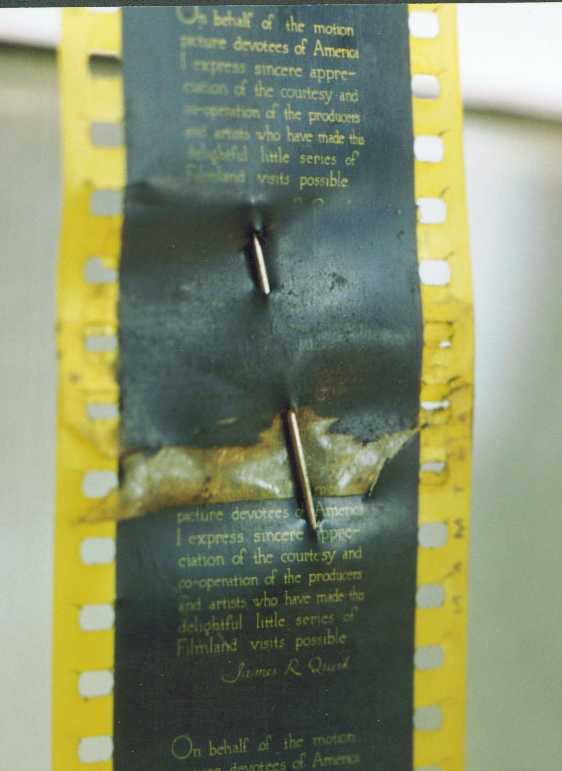 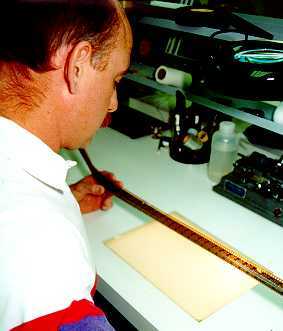 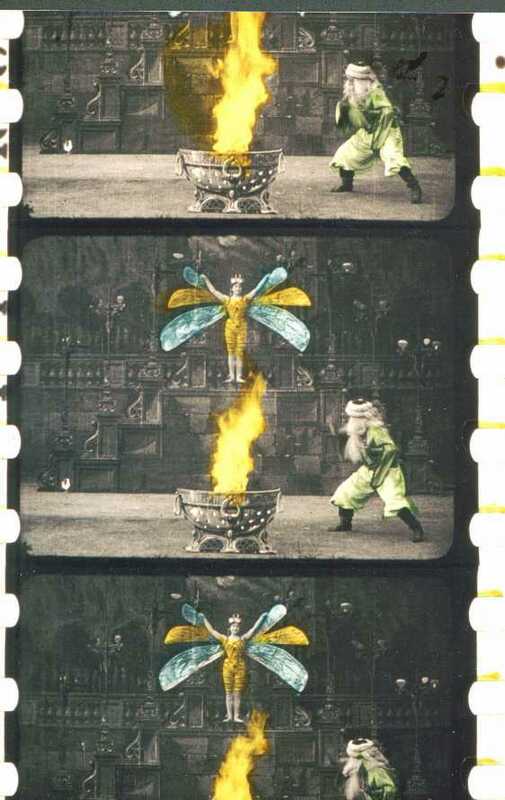 Stage of Nitrate Film decomposition where the image has faded and is beginning to become sticky. 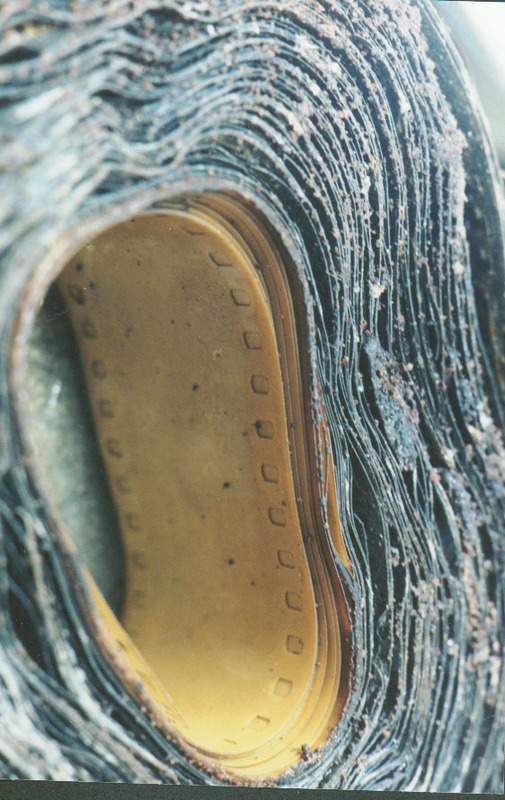 Film has disintegrated into dust.